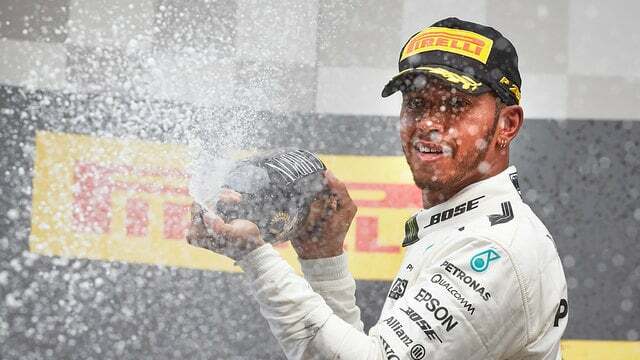 Hamilton was worried about the condition of his tyres and had to lead through a safety car restart, but he dealt with the pressure from Sebastian Vettel and converted his pole position into another race victory. Vettel got alongside the Mercedes a couple of times but didn’t have the power in his Ferrari engine to muscle through, settling for second place. Daniel Ricciardo finished on the podium, after Bottas dropped back in the final stages and Räikkönen was penalised for failing to slow down during yellow flags. The aforementioned safety car was brought out when the debris from an all-Force India crash was scattered about the track. Pérez and Ocon came together not once, but twice, the second time with damage to both cars when Sergio squeezed Esteban into the wall. Meanwhile, Max Verstappen retired from another race due to engine reliability, disappointing in front of a lot of his Dutch supporters, and a disgruntled Fernando Alonso also ended his race early after complaining for almost all of it.